When the cultural critic Mark Dery coined the term “Afrofuturism,” in his 1993 essay Black to the Future, he drew on the radical science fictions of Samuel Delany, Sun Ra, and Octavia Butler and hip-hop deejays who “hacked” turntables by reimagining them as instruments. Afrofuturism was sparked, in part, by W.E.B. Dubois’ emphasis on the politics of time travel — the importance of rebooting the lost historical memory of the African Diaspora in an America that has done everything it could to erase that memory. Registration encouraged. Please scroll down. Yet Afrofuturism also looks forward, as its name suggests: movies like Black Panther and Get Out and videos by Janelle Monae and Erykah Badu use the language of science fiction to critique our dystopian present and demand a say in the stories we tell ourselves, as a nation, about things to come. In his illustrated lecture, “Afrofuturism Reloaded,” Dery asks: is Afrofuturism in danger of being commodified — stripped of its radical politics by consumer capitalism and sold back to us as just another fashion trend? What does it have to say in an America where white supremacists have rebooted some of the 20th century’s ugliest science fictions about race? In a lecture full of probes and provocations, Dery asks urgent questions about Afrofuturism, the politics of myth, and the future present. 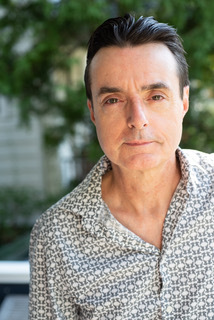 Mark Dery is a cultural critic, essayist, and book author who has taught journalism at NYU and aesthetics in the Yale School of Art. He coined the term “Afrofuturism,” popularized the concept of “culture jamming,” and has published widely, in the academic as well as the popular press, on American mythologies and pathologies. His books include the anthology Flame Wars and Escape Velocity: Cyberculture at the End of the Century, both seminal critiques of digital culture; The Pyrotechnic Insanitarium: American Culture on the Brink, a study of cultural chaos in millennial America; and the essay collection, I Must Not Think Bad Thoughts: Drive-by Essays on American Dread, American Dreams. Dery's new book, Born to Be Posthumous: The Eccentric Life and Mysterious Genius of Edward Gorey, was published by Little, Brown in November 2018. The book will be available for purchase and signing during the talk at the Library Shop independent bookstore located inside the Central Library. Presented in conjunction with the 2018 One Book One San Diego selection March by Congressman John Lewis, the last living giant of the Civil Rights Movement.